Drug Free Sport is a member of one of Kansas City’s most vibrant and diverse neighborhoods, the “Westside”. 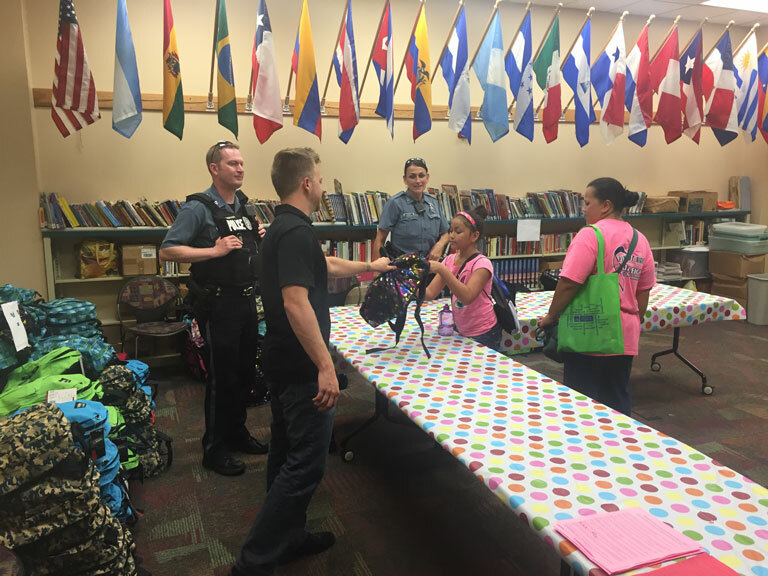 For the past decade, we have supported the area’s annual “Back to School Rally” by working with a neighboring community non-for-profit organization (Westside Community Action Network) to distribute student backpacks to families in need, along with purchasing pad locks for student lockers. Our crew of volunteers works alongside the Kansas City Police Department to contribute to our neighborhood, our city, and youth development.